The IWLCA is a membership-led, professional association representing the nation’s intercollegiate women’s lacrosse coaches within Division I, II & III of the National Collegiate Athletic Association (NCAA), and the National Association of Intercollegiate Athletics (NAIA). They focus on the recruiting experience for both coaches and prospective student-athletes, recognize student-athletes and coaches for their achievements on and off the field, value sportsmanship...integrity and fair play in our game, as well as support the creation of new intercollegiate programs. Are you ready to play college sports? 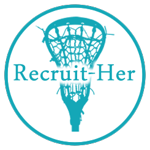 Recruit-Her is a women’s lacrosse company that offers services to improve individual and team skills through personal training sessions that increase physical strength and speed and mental knowledge of the game. For female athletes looking to play lacrosse at the collegiate level, Recruit-Her also offers recruiting consulting in order to educate players and parents about the multifaceted recruiting process. 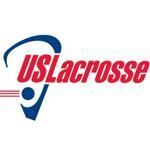 LaxPower is a website that collects and maintains links to a variety of men's and women's lacrosse information. You can find computer rankings of high school and college teams, recruit databases, lacrosse forums, and more. The links provided here will take you to LaxPower's lists of links to Division I, II, and III women's college lacrosse programs.